The Lynx lineage consists of four cats in the Lynx genus that all have very short tails and pointed, tufted ears. They live in the northern temperate climates and have been exploited widely for their fur. Going back in Felidae evolution, this line of cats descended from ancestors that migrated to North America from Asia following the first ice age 8 to 10 MYA (million years ago), when the Bering Strait land bridge linked Asia and North America. 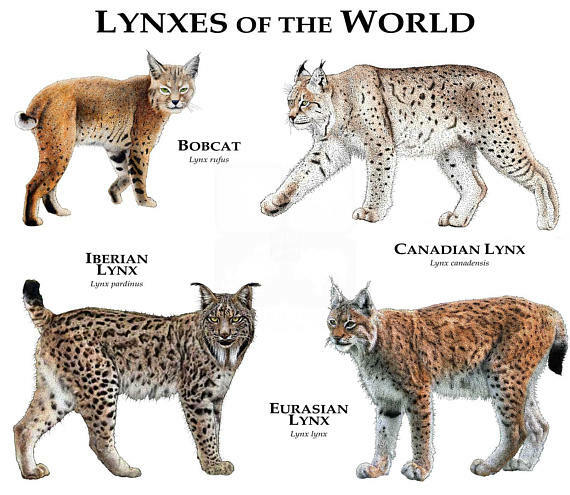 The Lynx lineage subsequently arose around 7.2 MYA with two species spreading throughout North America and a further two evolving later in Eurasia, from ancestors that migrated back over the Bering Strait during the second ice age. 1. 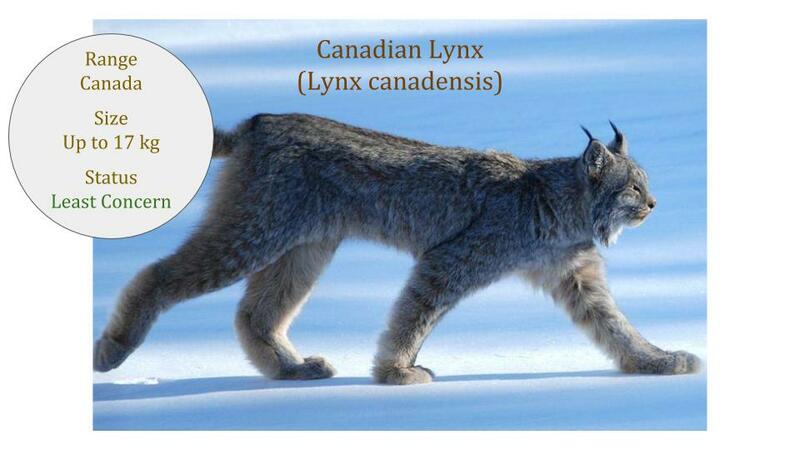 Which is the largest lynx species? 2. 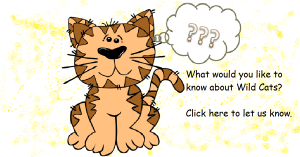 Which characteristics distinguish bobcats from the other lynxes? 3. Which trait (even though it does occur in some other species) is distinctive of this group of cats? 4. 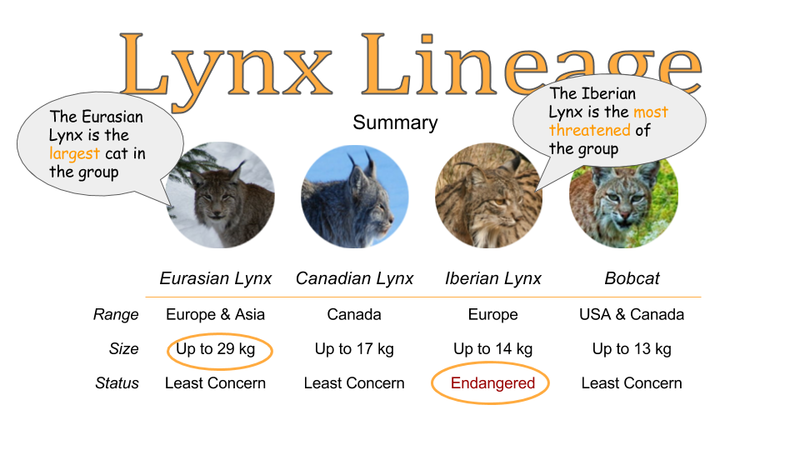 Which of the lynx species was the most threatened of all the cat species until recently? 5. Is trade of lynx furs legally allowed in the USA? 6. Which African cat is also called a ‘lynx’ even though it does not genetically belong to the group of lynx cats?